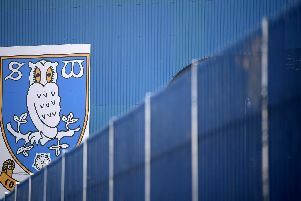 Sheffield Wednesday travel to Elland Road this weekend in another crucial match in their play-off hopes. The play-offs are still a possibility for the Owls but they find themselves six points behind 6th placed Bristol City who have a game in hand. However, the Robins still have to visit Hillsborough this season and Steve Bruce has stressed the team will fight for the play-offs until it is mathmatically impossible. While victory over Leeds United would keep their play-off dream alive, it would be bittersweet for many Owls fans. Sheffield United are currently fighting for automatic promotion with Marcelo Bielsa’s side and fans will be hoping Wednesday can give them a helping hand. A win for Wilder’s side at home to Millwall would lift them above Leeds United in the table and a win, or draw, for Wednesday, would keep them there. Despite a Wednesday win handing the initiative to their bitter rivals, Wednesday fans have been clear what result they want from the Yorkshire derby.